This time, with the proper equipment! 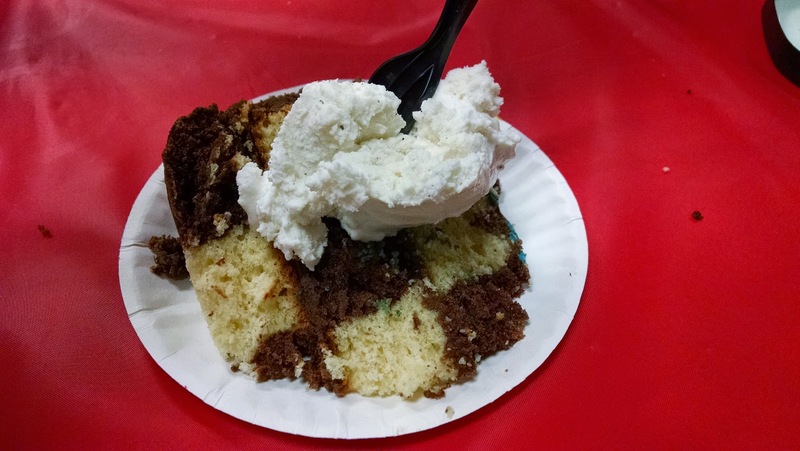 For the now 10-year-old's birthday, there was a request for a checkerboard cake. I'd made one before, without the fancy mold, and soon realized my error! 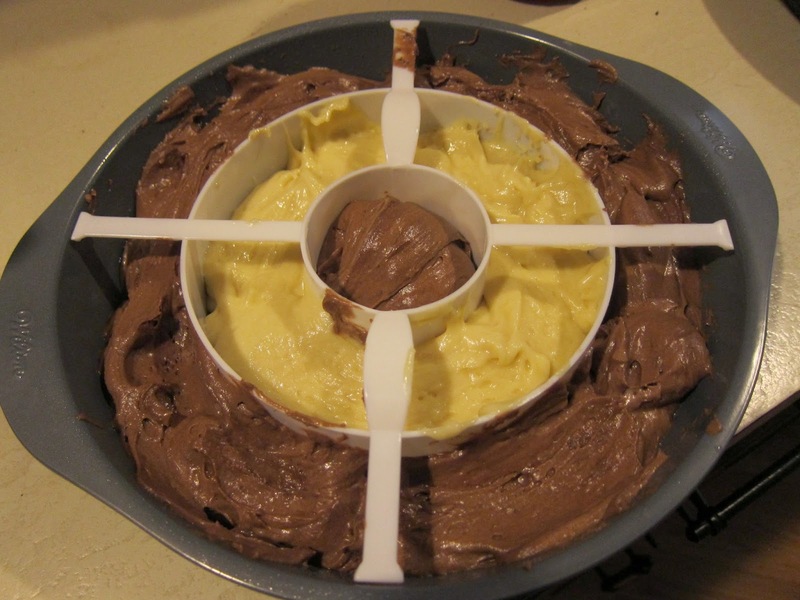 For this one, I purchased the little mold that allowed for the different colors of cake to be poured in more easily. It would have been easy if I used cake mixes but, since I made the cakes from scratch, the batter was thicker, so the batter needed to be spooned in and then smoothed out. Regardless, I was able to get the layers done yesterday and frosted it today. For the chocolate part, I used the chocolate sour cream cake I usually do. For the white part, I used this recipe. The textures are similar which is nice. After 12 kids and 6 adults ate cake at the party, there was nothing left!